Aquatica is usually a warm and tropical waterpark near SeaWorld, but on Jan. 21, 2012 they will be chilling down their wave pool. This drastic temperature change is to benefit the Special Olympics Florida for the third annual “Polar Plunge”. Anyone who raises a minimum $100 (per person) earns the right to come to Aquatica and take the plunge. Plungers receive official commemorative Plunge gear and bragging rights. Cool incentives and prizes will be awarded based on the amount of money you raise. Special Olympics will provide interested plungers a free personal fundraising page to help participants receive donations. For those who would like to watch the event or would like to support the Special Olympics without getting cold and wet, there is a Virtual Plunger page that will help raise pledges without going into the icy water. All proceeds from the event will help support Special Olympics Florida, which provides year-round sports training and competition to children and adults with intellectual disabilities at no cost to the athlete or their caregiver, as a means to achieve physical fitness, self-esteem and life skills necessary to be a productive, respected and contributing members of their communities. 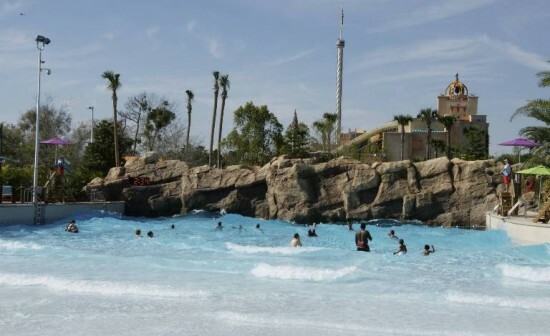 The third Annual “Polar Plunge” will be held from 10 a.m. until 2 p.m. on Jan. 21 at Aquatica. Visit specialolympicsflorida.org/support/polar-plunge.html for more information and to register.